Photo by David Smith / WVU. 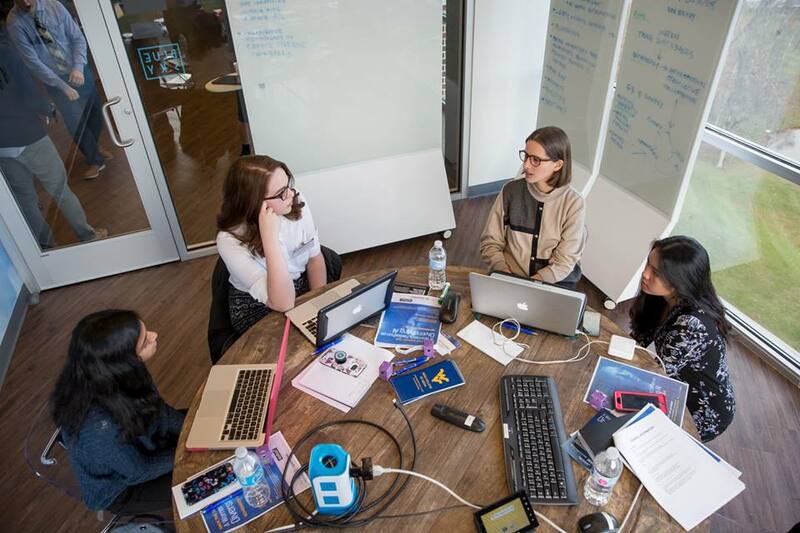 In partnership with West Virginia University’s Reed College of Media, MediaShift produced a Women’s Hackathon on Diversifying AI on November 9 to 11, 2017. Key speakers at the kickoff Symposium and Hackathon included Troll-Busters.com founder Dr. Michelle Ferrier, venture coach Jennifer Ellis-Juncaj, USC’s Amara Aguilar, and Megan Tiu, the COO of Frenzy, an early stage artificial intelligence startup. Students developed and pitched ideas for startups in artificial intelligence and media, while helping to bridge one important gap, like the gender gap, accessibility gap or rural / urban gap. The winning team was Team Mak, a group of women who pitched a startup called Context, a reading app for children with learning disabilities that adjusts the reading material depending on the disability of each child.